As the Northeast gets a break from unsettled weather — at least for the time being — attention turns to the Pacific Northwest. 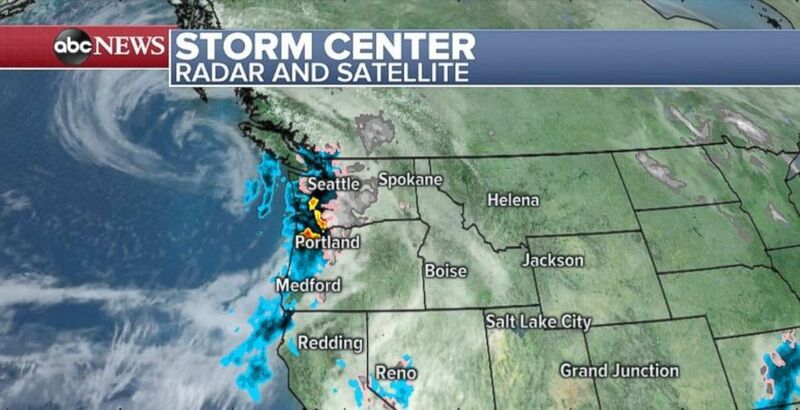 Radar and satellite imagery from Sunday morning shows that the first of several rounds of storms is already affecting the area from Northern California all the way up to Seattle. Moderate to heavy rain showers are the main concern for the lower elevations of Oregon and Washington, while snow is affecting mountainous areas. Rainfall totals are expected to range from 1 to 3 inches through Wednesday. Rain is moving into the Pacific Northwest on Sunday morning. Winter weather alerts are in effect for six states in the Pacific Northwest on Sunday. Slippery and dangerous travel is likely in these areas, especially in the mountains and mountain passes, where snow totals could exceed 1 foot. 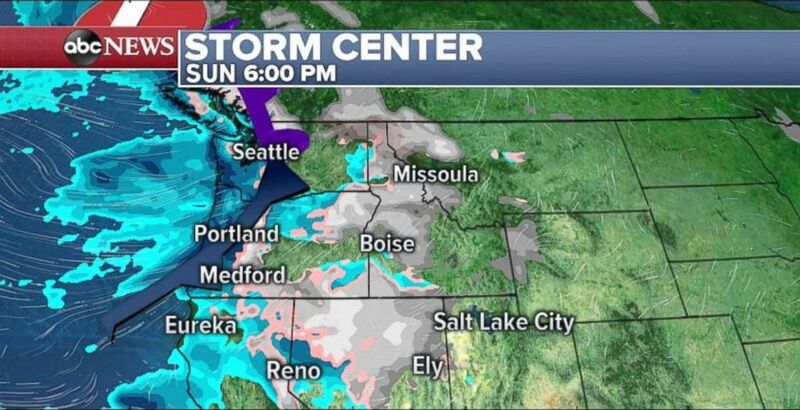 Rain will stretch from Northern California to Seattle, with snow inland, during the day and evening Sunday. The system will linger, bringing rain and snow to the region throughout the day Sunday. By Monday, a new system will approach the California coast from the west — accompanied by more rain and snow. The center of the new system will track a bit south of its predecessor and a good portion of Northern California can expect to see decent rain and snow showers. Christmas Eve looks to be a sloppy one for the Pacific Northwest. Snow showers will linger in the Rockies on Christmas Day, but the areas west of the mountains that see rain should be dry on Tuesday. However, yet another system will approach from the west, bringing with it more rain and unsettled weather for the end of the holiday week. Around 30 states from coast to coast have at least some snow cover right now. This means many will have a White Christmas. Snow cover stretches across the northern part of the country from coast to coast on Sunday — days before Christmas. The next weather system to hit the east is taking form Sunday morning in the Great Lakes region and over the Gulf Coast. Two separate fronts in these areas will race eastward on Sunday and converge. Snow could be in the offing for Chirstmas Eve in the Northeast. By early Monday, the system will move toward the Eastern Seaboard bringing showers to the mid-Atlantic and snow to higher elevations in Pennsylvania, New York, northwestern New Jersey and New England. These spots are in the running for a White Christmas as well.